Let Moving Service be your helping hand, when it comes to relocation, resettlement, transportation inventory and house set- ups, when moving from London to Manchester. Relocation, resettlement and transport of your belongings is done with specialized vehicles for relocation / resettlement, in order to maintain their conditions in the highest level. We will help with the packaging of items for moving from London to Manchester (like clothes, dishes, documents, furniture and inventory, as well as documents that need to be moved carefully). This is done in special boxes designed just for such services, as well as additional foils that are used for protection from breakage and destruction. Calling us on 020 8746 4402 is bound to be your best move, when relocating to Manchester. The relocation and resettlement of businesses is one of our major areas of expertise. For efficient relocation services that will not hinder your business productivity, you can trust in us. We are driven to ensure that your company can relocate your business, while maintaining your workflow. We understand your need to be transferred smoothly and without interruption to your employees from one location to another. We can do everything for you during your business relocation. We provide inclusive corporate relocations to Manchester, arrangements ranging from management to storage and logistics, to coverage assessment. 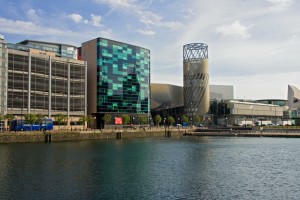 We can move your business to Manchester and there are no restrictions on the implementation of our work. For your office relocation, you simply have to choose our company to be your ideal partner. The handling of your special cargo will be done with great care. This includes all items with heavy weight, which can make it difficult to remove them, including various artistic works, antiques, all kinds of different pianos and musical instruments, large appliances for photocopying, sofas, safes, generators, telephone switchboards, refrigerators and so much more. Our full-service packing includes all items in your home being packed by our experts, using the latest methods. When it comes to packing fragile (brittle) items, you determine your frailest belongings, or items of high value, such as dishes, artwork, glassware, mirrors, fragile furniture, etc. We perform professional packaging, carefully, while you pack other items, so that you relocation to Manchester is sure to go very smoothly. If you wish to do it yourself, our firm can provide boxes and materials to make your job easy as possible. Another aspect we can be of great assistance in is assembly and disassembly of item that are moving from London to Manchester. In addition to assembly, we do the dismantling of moving goods, such as your kitchen, including sinks, aspirators, kitchen elements, etc. We can also handle your ,cabinets, shelves of all sizes and types, all types of Beds, desks, mobile offices and more. Should you need storage, our relocation company enables you to keep your things for a short or long time in our warehouse. You can be sure that your goods will be stored with great care. When it comes to needing a relocation company, you will find that our team will be in your city for a few hours! 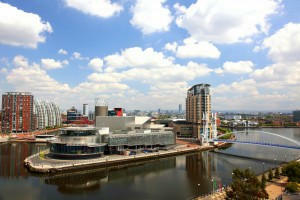 We offer you one of two options for moving from London to Manchester. You can pack your things, and we will provide a professional transportation service, or device packaging and household furniture dismantling, loading, assembly, placing the furniture in the new space, etc. Calling Moving Service on 020 8746 4402 means that you have chosen to ensure the quality and safety of your entire process of moving from London to Manchester. There is no better feeling than starting up in a new place and our removals to Manchester are there to ensure that everything will go as smoothly as possible.